The Gunnison County Planning Commission heard just over 60 minutes of comments during the final session of the public hearing on the proposed The Corner at Brush Creek affordable housing development sketch plan on Friday, July 20. County staff was instructed to draft an approval document with conditions. Approximately 100 people attended the hearing concerning the sketch plan of the 220-unit housing development that would sit on the 14 acres of land currently owned by the county at the corner of Brush Creek Road and Highway 135. In addition, county attorney David Baumgarten and attorney for the developer, Gatesco Inc., Kendall Burgemeister reported the results of recent efforts to bring multiple valley stakeholders to the table to discuss the proposal with the Gatesco team, as directed by the county last month. In addition, Burgemeister addressed a previous suggestion that the housing development tap into the East River Sanitation District’s wastewater treatment plant instead of building its own stand-alone treatment plant. Proponents of this idea suggest that could drive down costs and allow the density of the development to be reduced without impacting profit. “The East River Sanitation District directed us to file an official application so they can evaluate whether or not they can serve this project and amend their rules to allow reduced tap fees for workforce housing,” said Burgemeister. “We are submitting an application but we don’t anticipate that connection to drive down development costs significantly. But it would eliminate the need for an additional wastewater treatment plant. “And we also spoke with Skyland Metro District about tapping into its water and were told that is not an option, so we will proceed with our proposed well,” said Burgemeister. Later in the hearing, planning commissioner Molly Mugglestone asked Schmidt if the town of Crested Butte had ever offered subsidy in the form of tap fees for water and sewer, from the town to the applicant, an idea that surfaced during the previous Planning Commission hearing. David Leinsdorf, attorney representing the Friends of Brush Creek, a group that submitted an alternative housing development proposal last week to the Planning Commission, spoke about the stipulations of the Land Use Resolution (LUR) governing development in the county. Following the presentations from the town of Crested Butte and the applicant, the Planning Commission opened the hearing up to the public for comment. Lisa Merck, owner of Sopris Women’s Clinic, also spoke in favor of the project with conditions. “I am in support of this project with the condition that it is regulated so we don’t have people coming in from out of county, buying up our housing for our county’s workers,” said Merck. After just over an hour of testimony, the Planning Commission officially closed the public hearing and is now moving in the direction to approve the proposed sketch plan with conditions. Planning commissioners directed the county staff to write a draft of conditions addressing density, parking, income qualifications for deed restrictions, wastewater treatment and water availability, traffic flow and a transit center. Staff estimates the draft will be prepared in three weeks and presented to the Planning Commission for review. The Planning Commission must vote on the sketch plan within 60 days of the close of the public hearing on Friday, July 20. If the Planning Commission approves the sketch plan, the applicant would generate a more detailed preliminary plan that would then be subject to further review from both the public and the Planning Commission. Prior to any construction, however, at least thre of the four stakeholders in the 14-acre property under consideration must agree to sell it to Gatesco for $100,000. 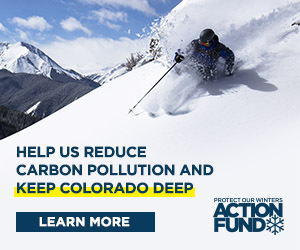 The stakeholders include the towns of Crested Butte and Mt. Crested Butte, Gunnison County and Crested Butte Mountain Resort. “It is our intent to obtain approval from three of the four stakeholders before moving into the preliminary plan phase,” said Gatesco attorney Burgemeister. “Why not obtain approval from all four?” asked planning commissioner A.J. Cattles. “Because we only need a majority of stakeholders,” answered Burgemeister. “But can the Planning Commission require that Gatesco obtain approval from all four as a condition of sketch plan? I want to keep peace in this valley and I think all four parties should approve,” stated Cattles, prompting county attorney David Baumgarten to intervene. “I would caution you not to conflate your decision on sketch plan with the execution of a real estate contract. I would suggest to you that since there is an offer of three of the four of the stakeholders, you don’t want to exceed that offer with a condition. You keep to the limits set by the applicant,” stated Baumgarten. “But the town of Crested Butte is closest to this and has the most at stake here and so the three out of four really worries me. I want to keep peace in the valley,” reiterated Cattles. “Let me say it again more clearly: Limit that condition to that which is offered to you or we get into legal liability,” said Baumgarten. “I was really hoping for more substantive details to emerge from the recent talks between Gatesco and the towns of Crested Butte and Mt. Crested Butte and if we keep it to three of the four stakeholders, then the talks might not continue as we hope they will,” said Cattles. “Remember that approval of the sketch plan shall constitute approval for the general development concept only, not of specifics. Approval of the sketch plan would also authorize the applicant to submit a preliminary plan if he gets three of the four stakeholders to approve,” said Baumgarten. At which point the planning commissioners generated a list of general conditions that must be addressed in order for the sketch plan to be approved. The list included density, parking, traffic flow, water availability and wastewater treatment, AMI (area median income) requirements for deed restrictions, and trails and public access. “In addition to this general list, are there specific outlines or details of conditions you want?” asked Pagano. “And I would add the condition that the applicant secure the permanency of the deed restrictions so they will not be lifted in the event of economic downturn or other extenuating circumstances,” added planning commissioner Vince Rogalski. “And make sure the applicant continues to pursue the application for wastewater treatment with the East River Sanitation District,” said planning commissioner Molly Mugglestone. “In conclusion, I just want to thank the public and ask that they continue to have patience with us and thank you to the parties who have been involved in these conversations for the past six weeks,” said Cattles, addressing the audience at the end.